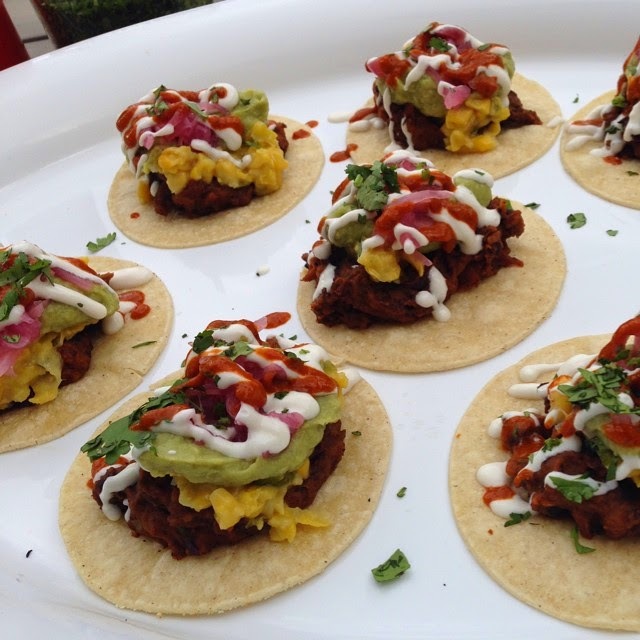 Vegan Taco experts Club Mexicana are following up from a series of supper clubs earlier this year, and a regular spot at KERB, to launch a new residency at The Convenience in Brooksby's Walk, E9 (at the bottom of Chatsworth Road). It's started already, and they'll be open from Weds - Sun until 2nd November. Go get some vegan tacos! "After a summer of street food, Club Mexicana returns to their roots with another exciting pop up in Hackney… this time in an old converted public toilet! They are taking up a residency at The Convenience (Chatsworth Road, E9)Wednesday to Saturday 6pm-10pm and Sunday 4pm-8pm for 4 weeks. Club Mexicana is famous for their scrumptious vegan tacos sold every week at Kerb markets around London, but with this pop up, they will be stretching their wings and their menu! Get down to The Convenience to sample their big, bold and flavour-packed food with a local ale or scrummy cocktail on the best roof terrace in Hackney! ‘We are so excited about this new pop up residency! We’ll be serving up loads of new dishes and getting Hackney’s taste buds dancing!’"